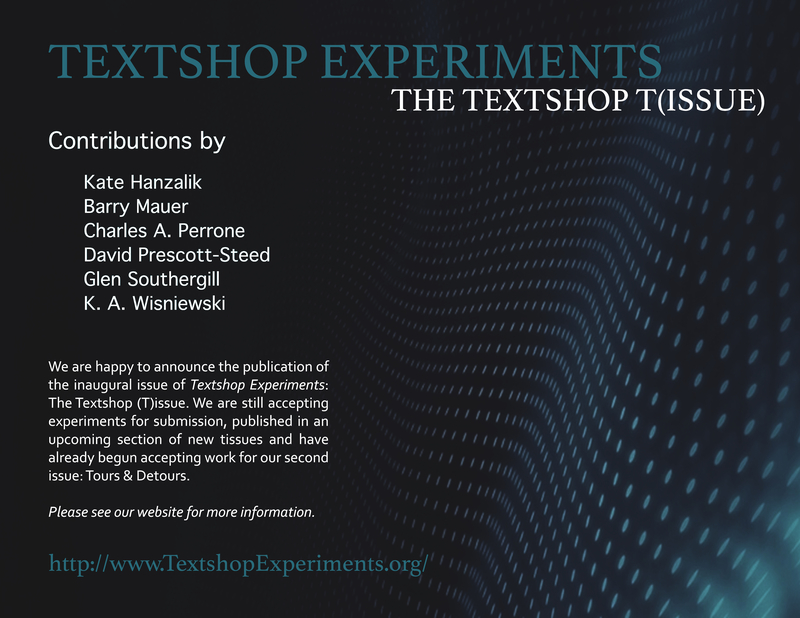 I am pleased to announce the inaugural issue of Textshop Experiments (ISSN: 2377-9039). This issue collects a variety of experimental essays, tissues, in one way or another, connected to the book Electracy: Gregory L. Ulmer’s Textshop Experiments, or to the methodologies of electracy, coined by scholar Gregory L. Ulmer. 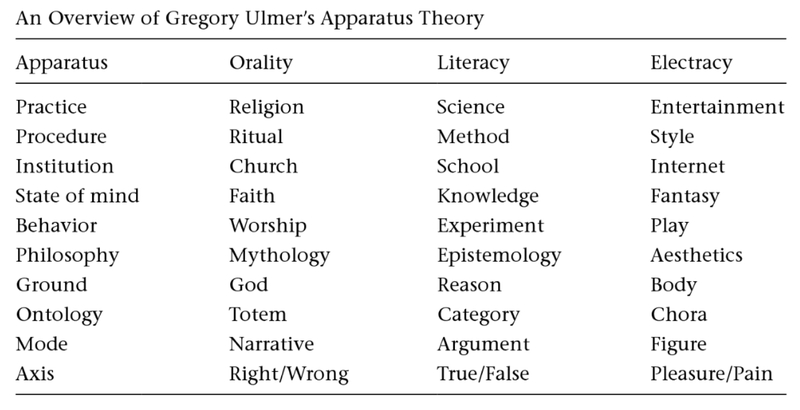 According to Ulmer, electracy “is to digital media what literacy is to print.” It is relative to orality and literacy as a new apparatus, and Ulmer encourages us to participate in the invention of this historical shift. These tissues are part of this experimentation, this conversation. For more information, please visit http://textshopexperiments.org/. This entry was posted on June 23, 2016 by k.a.wisniewski in Art, Digital Humanities, Electracy, Journals, New Media, Writing/Publishing and tagged Call for Papers, Digital Humanities, Electracy, Heuretics, Journal, Open Access, Publishing, Scholarship, Textshop Experiments.